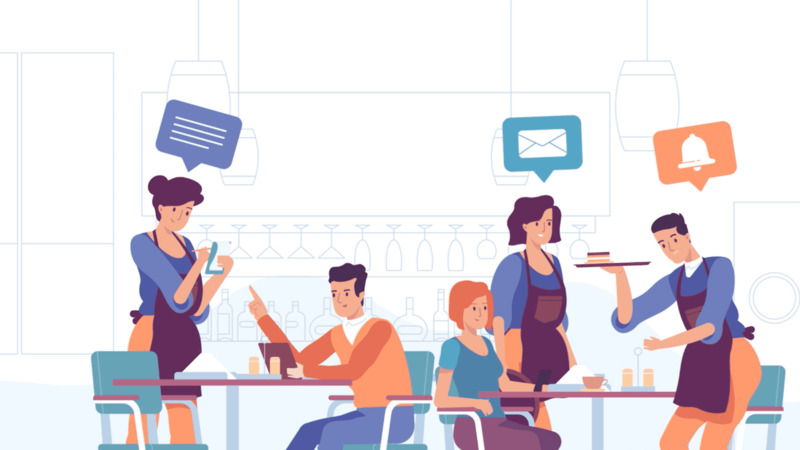 With a busy café on your hands, it’s time you spent 80% less time scheduling your staff, reduced your labor costs, and improved team communication. 7shifts does all this and more, all while saving you up to 3% in labor costs. Start your free trial today. Cafés using 7shifts spend 80% less time on staff, reduce their labor costs up to 3%, and improve their staff retention. "Really made scheduling easier for both myself and my employees! 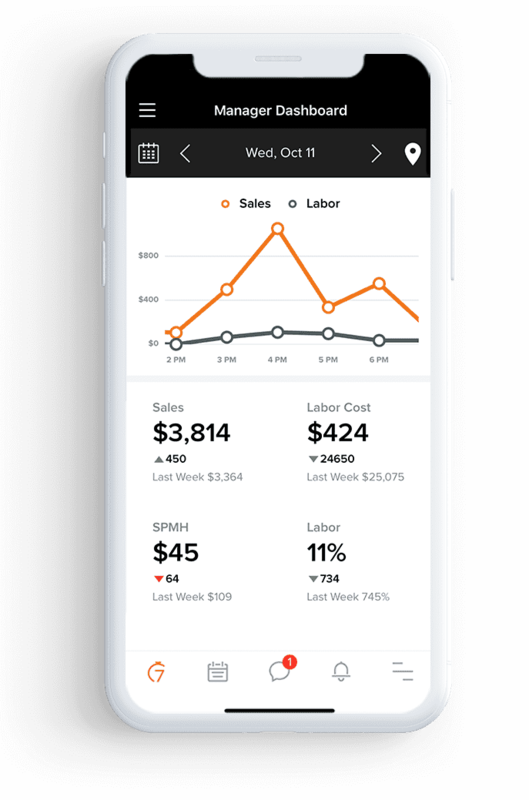 The payroll feature is also a nice add on to help control payroll percentages!" "Very easy to use and set up. I appreciate that it's a flat fee and the same price no matter how many employees." "7shifts has helped our business streamline, grow and thrive. We couldn’t do without it!" Your cafe needs to be properly staffed for all hours of the day—from the morning pre-work rush, to the evening lull. Finding the perfect scheduling balance for your cafe will make (or break) your success! 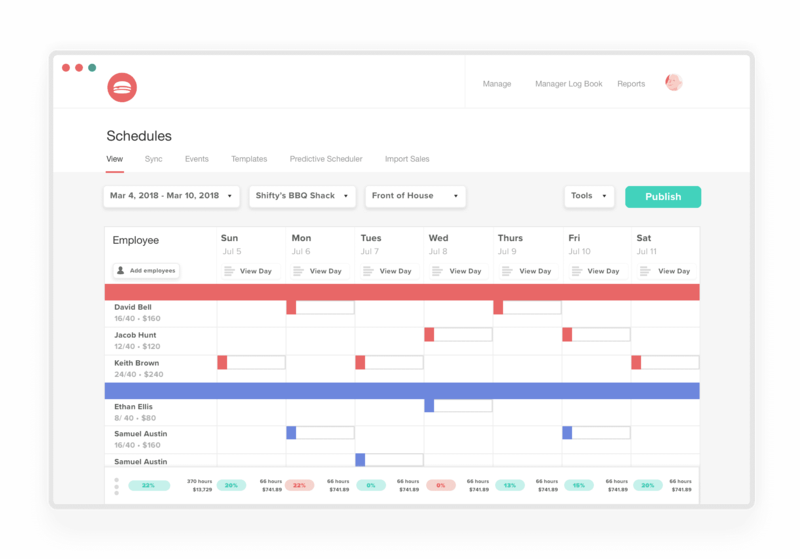 Whether you’re a mom-and-pop cafe, or a national chain, 7shifts restaurant scheduling software makes it easy to build & manage your employee schedule, communicate with your team, and better manage your labor costs. With 7shifts, you’ll spend 80% less time scheduling your staff, 70% less time dealing with calls and texts, and more time growing your cafe. Sign up for 7shifts today. Start saving your café time and money.